i've been wanting to create a card the had a slightly modern, streamlined feel and i think i might have only succeed slightly (hee hee). 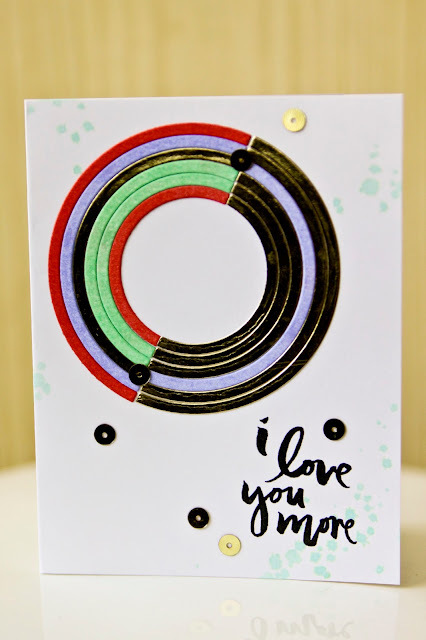 i used a rainbow die to create concentric rings in gold and my favorite distress ink colors but i couldn't resist adding some watercolor splatter and sequins too. 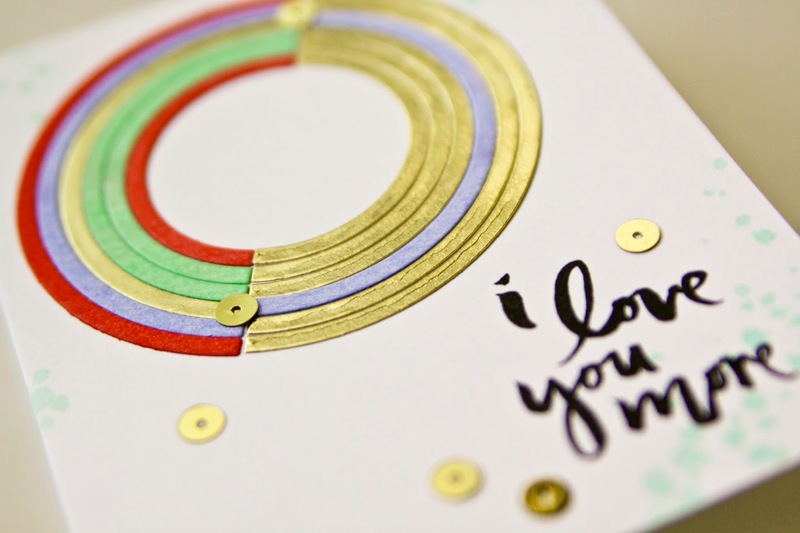 i die cut the rainbow twice, once from gold foil paper and once from watercolor paper. i inked the watercolor pieces with my ink blending tool and my favorite distress ink shades, abandoned coral, cracked pistachio & shaded lilac. i'm afraid my pictures don't really give the colors or the gold paper justice, they are so pretty in real life. i used a little more cracked pistachio ink to create a little splatter and of course i added some sequins. and finally a sentiment from one of my favorite essentials by ellen sets, love you so.